Work one on one with a Certified Personal Trainer. This is the perfect place to start if you have not exercised in a while, or have never exercised at all and are eager to get started but not sure how. Also, it's a great way to break through a plateau if you have been exercising and are not getting the results you were aiming towards. Your Certified Personal Trainer will develop a progressive workout program specifically geared towards your abilities and needs. We will help you lay out goals and specific steps to achieving those goals. We will set dates to reassess and to make sure those goals are being met while also recording your progress. GET STARTED TODAY! Call for a free Consultation and Assessment. personal trainer at a fraction of the cost! You will receive the benefits and attention of working with a certified personal trainer, tailoring each session to your individual needs and goals. The American Council on Exercise shares the following reasons why you should hire a personal trainer. Do you find it difficult to stick to your program? One of the main reasons people benefit from a personal trainer is that they lose motivation to stick with a consistent exercise program by themselves. Scheduling regular appointments with a personal trainer helps eliminate any excuses you may come up with for not exercising. A certified personal trainer can provide structure and accountability and help you develop a lifestyle that encourages fitness. Today's hectic lifestyle means you don't have time to waste on ineffective exercise routines. Personal trainers help you focus on results and stop wasting your time doing inefficient workouts. Personal trainers help maximize your time by providing workouts designed to meet your goals quickly and efficiently. An exercise program that works for one person may not work for another. A personal trainer will develop the most effective program for you based on your fitness evaluation results and personal goals. If you have health conditions, previous injuries, or specific fitness goals a trainer will work with you and your health care provider to plan a safe, efficient program that considers these needs and enables you to reach your health and fitness goals. So, you are already in pretty decent shape, but you have been performing the same exercises for years. Want to add a little more tone to specific areas? If you are stuck in the same routine and want to break out of a rut, a personal trainer is the perfect solution. A trainer will jump start not only your motivation but your routine as well. 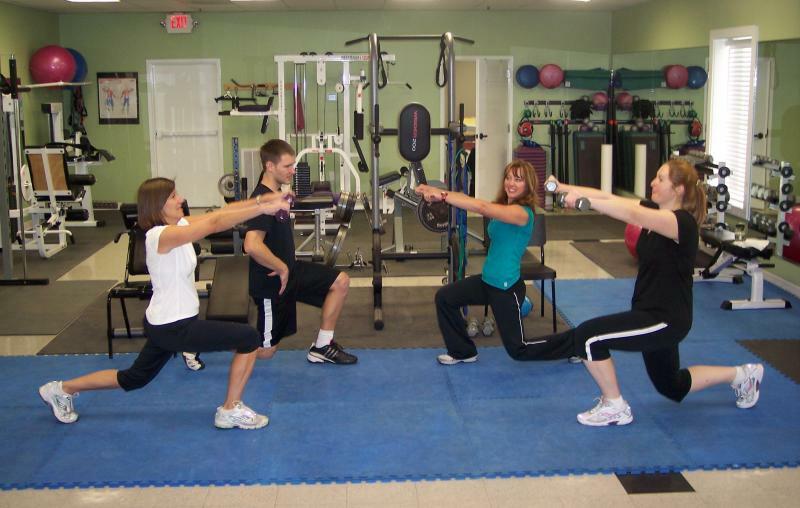 If you are an absolute beginner, a personal trainer is the ultimate fitness coach. Are you unsure of what exercises to do for your chest or legs? A personal trainer will show you how to exercise safely (including which exercises to avoid), and they will instruct you on the proper and safe use of exercise equipment. A personal trainer watches your form, monitors your progress, and can provide objective feedback about your limits and strengths. Most of us tend to ignore some of the subtle signals our body provides. We either push through pain or give up too soon. Because a personal trainer can watch what you are doing while you are doing it, they can help push you or slow you down as necessary. If you feel good you look good. Exercise is a great ego boost and energizer. Not only can personal trainers help you achieve your health and fitness goals, they provide you with positive feedback on your performance and bolster your confidence to take on new challenges.